The heart’s desire of our NCC Children's Ministry is that every child will develop a love for the things of the Lord and come to know Him as their personal Savior, developing a truly close relationship with Him that will last a lifetime. We want to equip them with the tools to KNOW, HEAR and RESPOND to Jesus. We offer a few different events each week to have fun and grow in Jesus. SHINE! 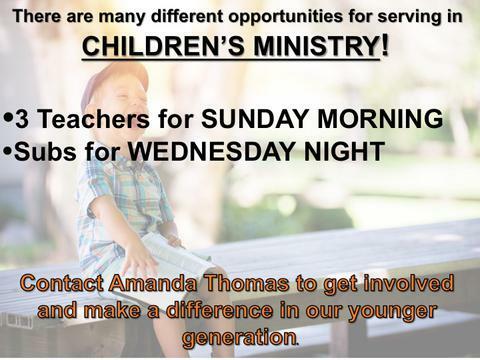 Children's Church meets on Sunday mornings at 10am. Children will rotate through a series of stations with other children in their age group. Each station has a different activity, game, or snack that will ultimately point to the main point of the lesson. Every Sunday we will explore the bible and how we can practically apply it's widsom to our lives. SPARK meets on Wednesday from 6:30-8pm during the school year. Children worship together in the sanctuary with exciting music, skits, games, and videos. Then we split into different age groups to dig deeper into the lesson for the evening. We also have transportaion available for SPARK. Contact the church office for more information about any of these programs. Click the Link to register your child for any of our programs.